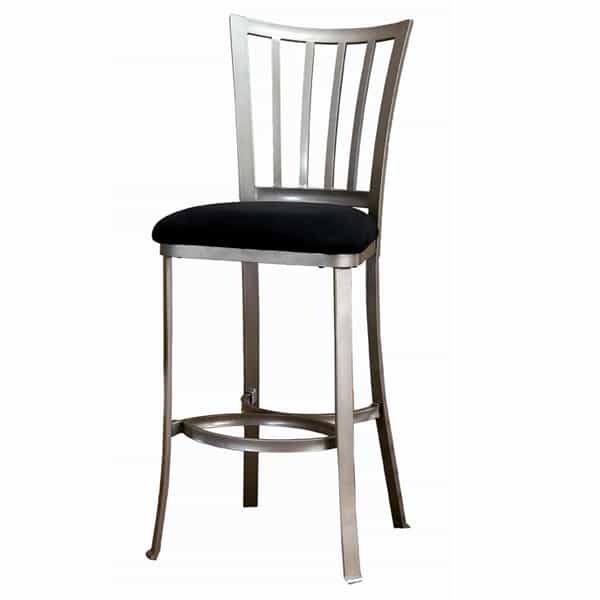 The Delray Bar Stool by Hillsdale is a modernized, metal version of the traditional mission style chair. The vertical slats are still there, but Hillsdale brings the Delray into the 21st century by fanning them out and adding a metallic champagne finish. Topped with a black microfiber padded seat, the end result is a sassy, up-to-the-minute stationary barstool, just made for socializing. Add pizzazz to your counter or bar; the Delray is available in both 26” and 30” versions.